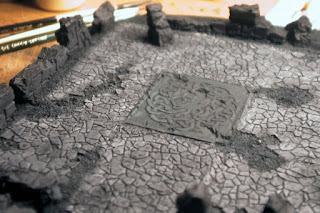 I finally got my temple ruins primed. I'm quite happy about the way the seams I sculpted turned out. Now to figure out what colors to paint the crumbling masonry walls.